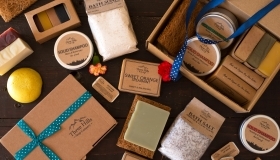 Their natural soap bars and shampoos are made from scratch using their own recipes. 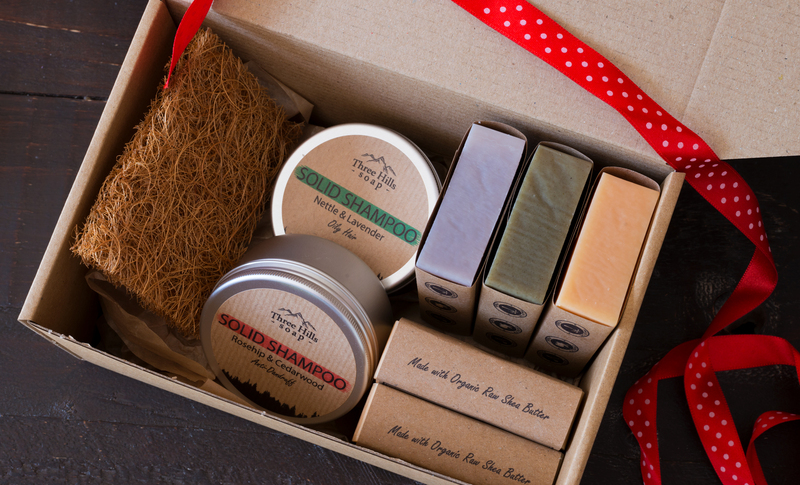 They handcraft the soap in small batches using the cold process method for a natural cleansing experience; oils are minimally heated to retain their skin-nourishing qualities. They use only natural ingredients in all products. They only colour all products with natural plant colourants, cosmetic-grade clays and spices, so their products are aesthetically coloured by nature itself. Only pure essential oils are used to scent their products. By combining naturally occurring ingredients they make beneficial products. 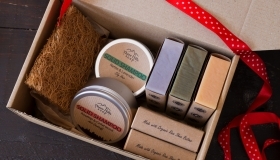 All their clays soaps are left unscented to better suit the needs of people with different types of skin and skin conditions. 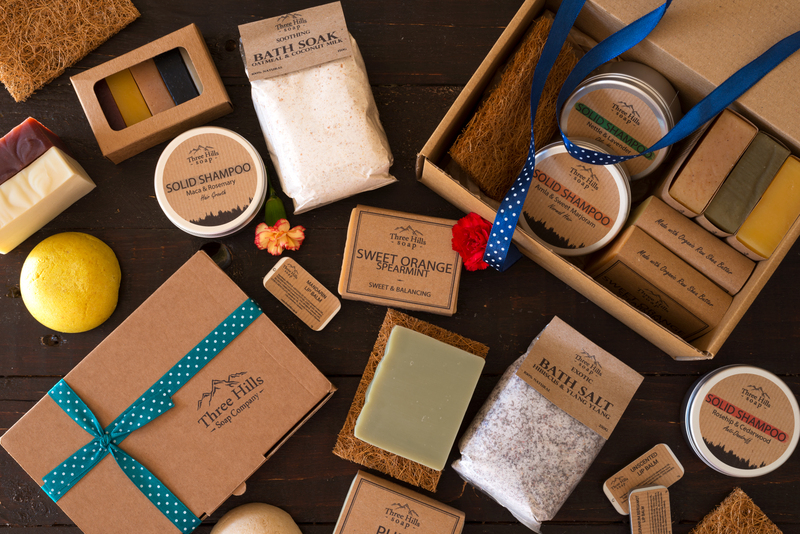 They offer different soaps for sensitive, oily, combination, normal, dry, acne-prone skin, itchy, irritated skin. Their SLS free solid shampoos replace plastic shampoo bottles by 100%. Each ingredient in their highly concentrated shampoo is added for their specific beneficial properties and their shampoos are designated for normal hair, for oily hair, for all hair types, to support hair growth and they even created a shampoo with anti-dandruff properties. 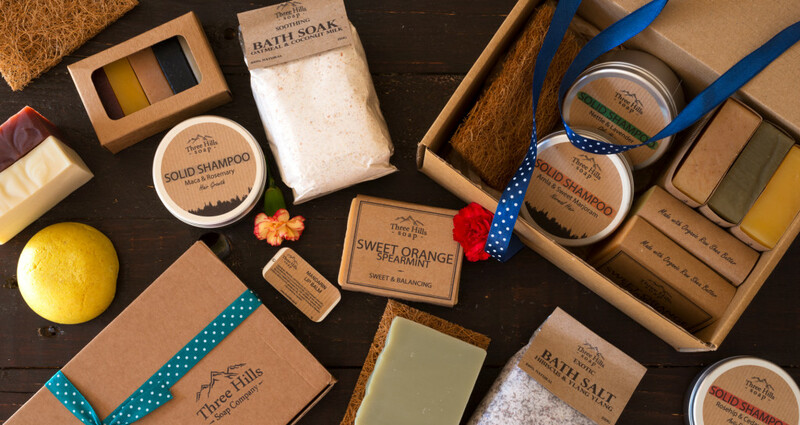 Three Hills Soap is also committed to Eco-Friendly Green Packaging as they minimise packaging materials and their products packaging is 100% recycled, recyclable and compostable. 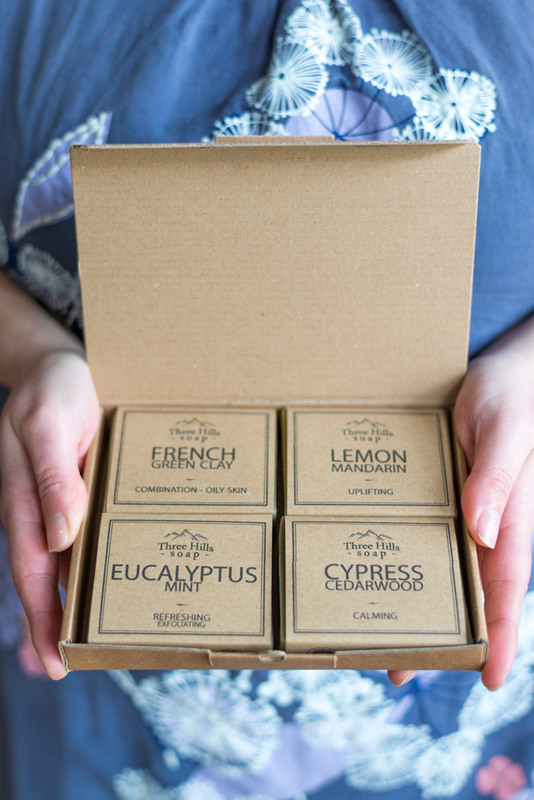 Every single product that makes its way to your doorstep – and hopefully into your daily routine, is lovingly poured and wrapped by hand.